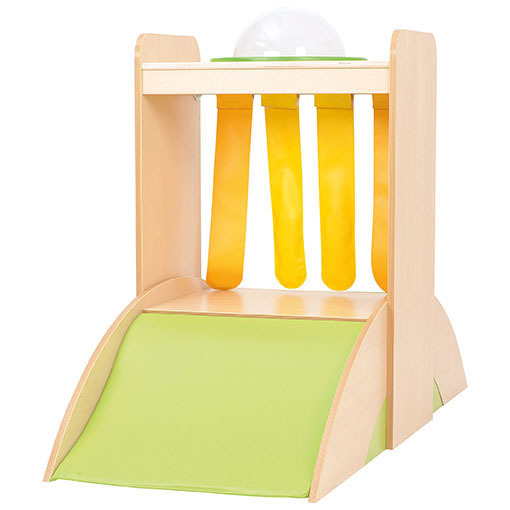 Create your own little divider and crawl through unit for your learning areas – this fun cabinet is great stand alone or can be used as part of a run of units. 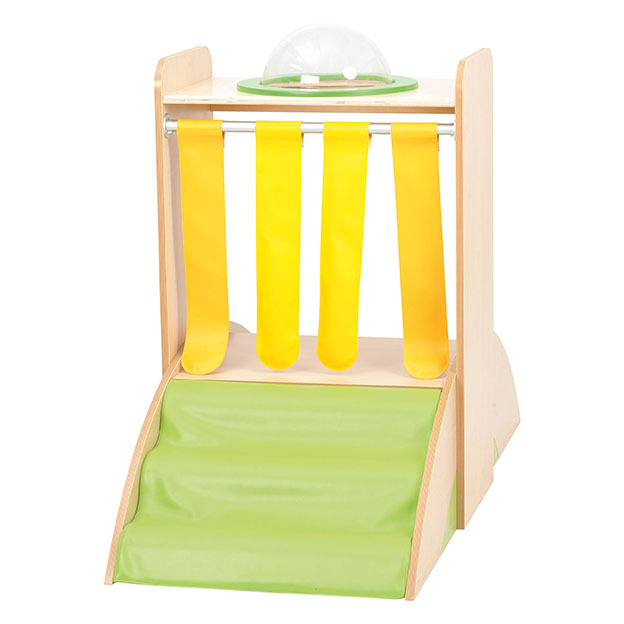 A foam slide on one side is complemented by a foam ‘wave’ on the other side of the unit. Hanging curtains contain sensory elements. Ages 2+. Made from durable and strong plywood with a safety glass porthole. Flat packed for simple assembly.